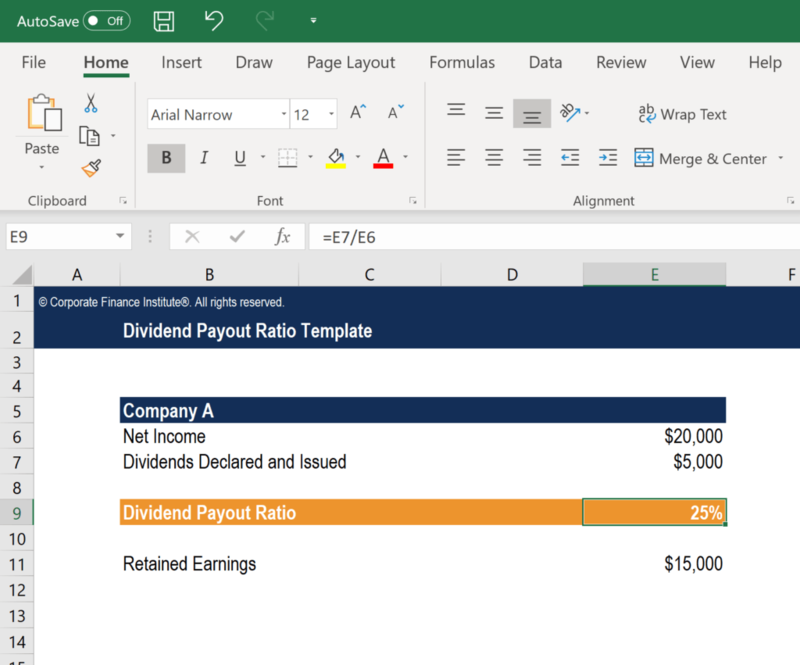 This Dividend Payout Ratio Template will show you how to calculate the dividend payout ratio using the formula: DPR = Total dividends / Net income. What is Dividend Payout Ratio (DPR)? The Dividend Payout Ratio (DPR) is the amount of dividends paid to shareholders in relation to the total amount of net incomeNet IncomeNet Income is a key line item, not only in the income statement, but in all three core financial statements. While it is arrived at through the income statement, the net profit is also used in both the balance sheet and the cash flow statement. the company generates. In other words, the dividend payout ratio measures the percentage of net income that is distributed to shareholdersStockholders EquityStockholders Equity (also known as Shareholders Equity) is an account on a company's balance sheet that consists of share capital plus retained earnings. It also represents the residual value of assets minus liabilities. By rearranging the original accounting equation, we get Stockholders Equity = Assets – Liabilities in the form of dividends.